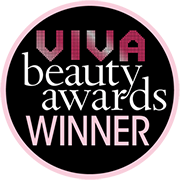 VIVA Award in Dubai to best anti-aging product by DIAMOND EXTREME EYE. 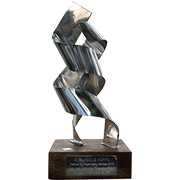 Award in Mexico Palacio de Hierro to best eye treatment by DIAMOND EXTREME EYE. 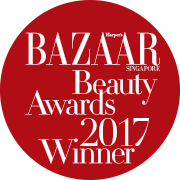 DIAMOND EXTREME EYE, awarded “Best Hydrating Eye Product” by Harper’s BAZAAR Singapore Beauty Awards 2017. The eye contour area is delicate. It is sensitive. It is constantly exposed. It needs tender loving care. As part of our Diamond Extreme family, Diamond Extreme Eye is a multi-action lusciously rich cream that energizes and powerfully hydrates while fighting wrinkles, providing elasticity, and firmness. What’s more, packed with ingredients such as Centella asiatica, calendula and licorice that have a draining effect, it miraculously minimizes under-eye circles and puffiness. The results: ravishingly bright eyes. • Expression lines and wrinkles noticeably diminished. • Corrects dryness and balances hydration of the skin. • Improves microcirculation under the eyes. Artemia salina extract for stimulating cellular metabolism. Centella asiatica, calendula, horse chestnut, horsetail and licorice for decongestive, draining effect that minimizes under-eye circles and puffiness. Ursolic acid, along with pea extract, for firming and fighting sagging skin. Exceptional pigments for providing luminosity to your eyes. After your cleansing ritual, serum and daily moisturizer, apply the cream to your eye contour area. To smooth forehead lines and crow's feet, apply Diamond Extreme Eye directly on the wrinkle by spreading the skin between two fingers, and with gentle circular movements massage until completely absorbed. To prevent dryness and dehydration as well as to increase firmness and elasticity, apply a generous layer of Diamond Extreme Eye on the upper and lower lids and gently massage with circular movements until completely absorbed. To diminish signs of tiredness and puffy eyes, apply from the inner to the outer corner of the eye with gentle, slow pumping movements. Repeat this massage at least three times. For best results, apply Diamond Extreme Eye generously as an eye contour mask, leaving it on for at least 15 minutes. Then, massage the area until the mask is completely absorbed.